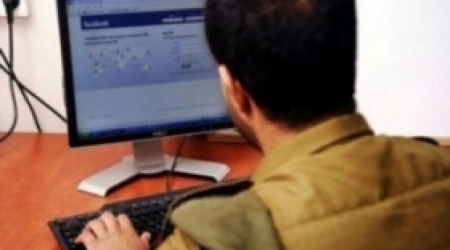 The Palestinian Interior Ministry has begun work to remove the religion section from Palestinian citizens' identification cards. Undersecretary of the Interior Ministry Hassan Alawi stated that "the implementation to abolish the religion identification came recently, from President Mahmoud Abbas, with the intention to prevent discrimination between members of the Palestinian population", according to a PNN report. According to Alawi, Abbas' decision came after a similar approval of Israel to begin this process, due to frequent claims that part of the signed agreements between Israel and Palestine needed to address the discrimination present in the population, and to end the requirement for one to identify themselves religiously. Gas stations across the West Bank have begun refusing to fuel vehicles of the Palestinian Authority's security forces after the Palestinian Authority failed to pay their gas bills for last six months, according to the West Bank Union of Gas Station Owners. Deputy speaker of the union Nizar al-Jaabari told Ma'an on Saturday that the PA's accumulated debts total 55 million shekels ($15.7 million). Al-Jaabari said that the union had notified security forces and the Palestinian Ministry of Finance on Feb. 2, warning them that the debts need to be settled by Feb. 15 in order to ensure continued access to gas. 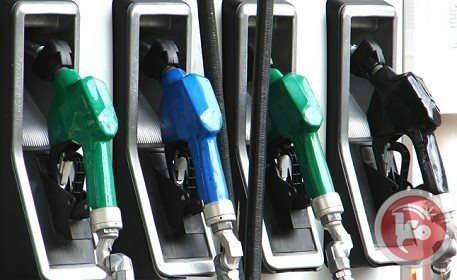 Al-Jaabari added that at the time the union told security forces and the finance ministry that gas stations would stop fueling vehicles belonging to the PA security forces if they did not receive the payments by Feb. 15. Al-Jaabari highlighted that because the PA has not been paying for fuel, some gas stations have been unable to buy fuel for their daily needs. 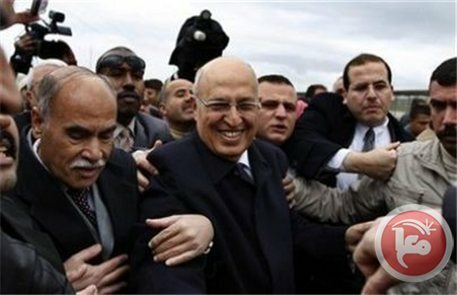 Palestinian premier Ismail Haneyya said that the Palestinian people sooner or later would settle their conflict with the Israeli occupation and restore their land. In his Friday khutba (sermon), premier Haneyya stated that the Palestinian people have elements of strength including faith, fortitude and weaponry, the thing which enables them to defeat the occupation. The premier affirmed that there is no conflict or enmity between the Palestinians, but there are political differences that would be gone soon after the departure of the Israeli occupation. He also highlighted the fact that the Palestinian people have no enemies in Egypt, Syria and Iran. "We address our internal issues with wisdom, and tackle matters with Arab countries with patience. Our sole and eternal struggle is against the occupation that desecrates the land and holy sites." "How can Palestine and Gaza turn into an enemy while we are facing the only Zionist enemy of the nation? How can we stand against the Egyptian people? It is impossible for us to forget what the Zionist aggression had done against Egypt." "Egypt would remain the sister of Palestine and its role is indispensable because it gave a lot for the sake of Palestine," premier Haneyya underscored. Senior Hamas official Mousa Abu Marzouk expressed his rejection of the idea of forming a new Palestinian government on the basis of conjoining the Gaza Strip with the occupied West Bank under the current Palestinian authority. Abu Marzouk stated in press remarks to the Palestinian newspaper Al-Quds that the inter-Palestinian reconciliation does not mean that Gaza should immediately be joined with the West Bank under a new government. 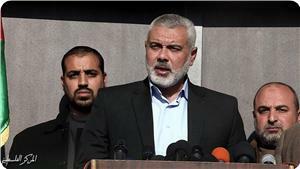 "The reconciliation are established [first] through reaching a consensus on a national unity government of independent technocrats," the Hamas official underlined. He also stressed that the reconciliation means that the carders of the security apparatuses in the Gaza Strip and the West Bank as well as the civil servants should keep their current jobs, pointing to the importance of solving the issue of all government employees who were arbitrarily axed from their jobs because of their political affiliations. Abu Marzouk also emphasized the need for specifying national security policies and restructuring of the Palestinian security apparatuses with Arab help, in addition to allowing the Palestinian legislative council (PLC) to resume its duties under full jurisdiction. Palestinian Authority Chairman Mahmoud Abbas is scheduled to meet on Sunday 270 Israeli youths representing Israeli parties and institutions as part of PA meetings with representatives of Israeli society in order to "discuss Palestinian view about the two-state solution and the achievement of peace." Mohammad Madani, member of Fatah Central Committee and head of the Palestinian Committee for Interaction with the Israeli Society, said that this meeting aims to explain the Palestinian view on the proposals made to end the conflict. More than 1,400 Israeli youths have asked to participate in this meeting, however the number has been reduced to reach 270 youths after conducting a draw, he explained. During the meeting, Abbas is going to discuss the Palestinian perceptions to end the conflict and the two-state solution, and Palestinian demands regarding Jerusalem and refugees issues. Arab Idol winner Mohammad Assaf said this week that he has been banned from performing at the 2014 FIFA World Cup opening ceremony. "I was supposed to sing for the World Cup 2014, in the opening ceremony, but, I do not want to accuse anyone but some people, or states or parties, God knows who, intervened and FIFA canceled my song with Platinum Records," he said at a news conference in Gaza on Tuesday. "There are a lot of people who fight me, I do not know who," he added. The Arab Idol star claimed that Colombian singer Shakira has "refused to sing in the World Cup because I will not sing." In July last year FIFA president Sepp Blatter said he would invite Assaf to sing at the 2014 World Cup in Brazil. 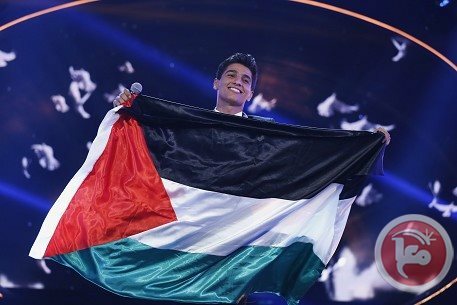 Assaf, the first Palestinian to win the popular Arab Idol TV singing contest, became the UN's first Palestinian goodwill ambassador in June 2013 following his victory. An official from FIFA could not be reached by Ma'an. The Palestinians have renewed their request to have the West Bank village of Batir recognized as a protected site by UNESCO, the United Nations Educational Scientific and Cultural Organization, Haaretz reports. 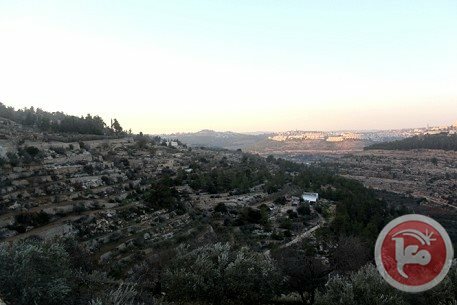 According to Haaretz, the PA officials turned to the UN agency two weeks ago and asked it to begin an emergency procedure to recognize the ancient terraces of Batir, near Bethlehem, as a World Heritage Site, hoping this will prevent the planned construction of a section of the separation barrier there. The newspaper added that the Palestinians froze a similar process in June 2013, noting that the renewal request of the process in UNESCO may signify that the Palestinians are preparing for the possibility that negotiations will fail. The Palestinian request was submitted on January 31, 2014. Representatives of various Palestinian political parties held a meeting on Thursday evening in Gaza to discuss negotiations and national reconciliation. Palestinian People's Party lawmaker Bassam al-Salhi briefed the representatives on the possible results of the Palestinian-Israeli negotiations during the meeting, and revealed the details of a letter he sent to President Mahmoud Abbas in this regard. Al-Salhi said the letter included six main principles that should be upheld including preserving a state within the 1967 borders with East Jerusalem as its capital, the refusal of any Israeli presence on Palestinian lands, the release all Palestinian prisoner from Israeli jails, and ensuring a fair resolution issue of the refugees' right of return. Fatah spokesman Fayiz Abu Aita said that there is an unanimity over the importance of achieving national reconciliation between the national factions, and on called Hamas to accept Fatah's recent initiative in order to push reconciliation forward. 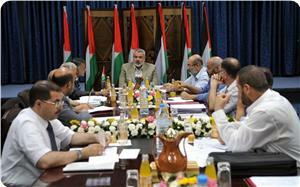 The meeting comes amid ongoing unity talks between the two main Palestinian factions, Hamas and Fatah. 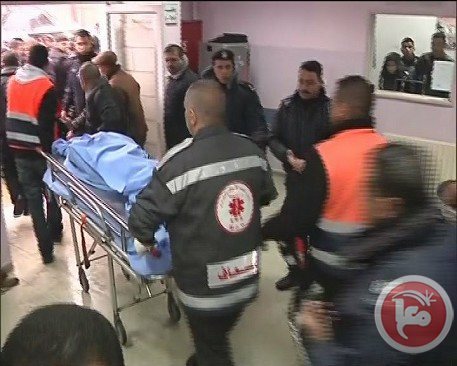 A man was shot dead by assailants on Thursday evening in the village of Beit Furik east of Nablus. Security sources told Ma'an that three masked men in a car shot Raslan Hafith Halabi, 25, in the head, chest, and stomach, causing his immediate death. They were later apprehended by Palestinian security forces in the nearby village of Rujeib, where they had fled. There is speculation that the killing was done in revenge for a previous, similar attack. 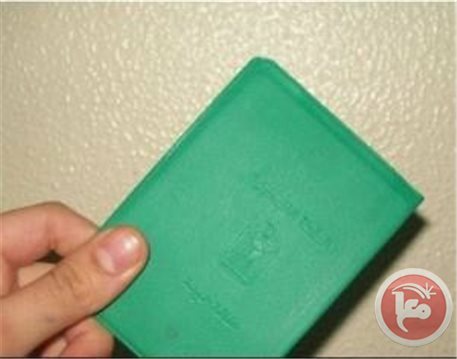 The Palestinian Authority has decided to remove the section detailing religious affiliation on Palestinian identity cards, according to officials. The undersecretary of the ministry of interior Hassan Alawi told Ma'an that President Mahmoud Abbas issued a decree to remove religious affiliation from identity cards beginning on Feb. 11, 2014. Alawi said the decision was made entirely by Palestinian authorities and ensures the equality of all Palestinians, regardless of their religion. Although the majority of Palestinians are Muslims, just under 10 percent of Palestinians in the West Bank are Christian, in addition to thousands more in the Gaza Strip. A few hundred Palestinians in the West Bank are Samaritans, a religion closely associated to Judaism. 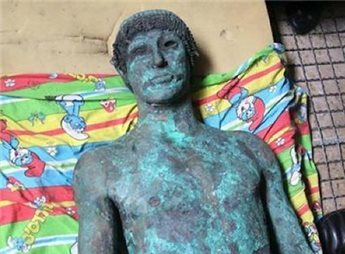 A life-size bronze statue of the Greek god Apollo, which recently surfaced in Gaza, has prompted the territory's Hamas rulers to seek international archaeological help to unravel the mystery behind it. According to Gaza's antiquities authority, the rare statue, which weighs 450 kilograms (1,000 pounds) and is 1.7 meters (5.8 feet) tall, could be worth as much as 250 million euros ($340 million). And now the Hamas government is seeking expertise, notably from France, to uncover the mystery of this 2,500-year-old naked sculpture which was reportedly discovered by a handful of fishermen in August. "We have started an investigation into the background of the statue and its origins," deputy prime minister Ziad al-Zaza told AFP. "At the end of the investigation, the statue will be returned to the ministry of tourism and antiquities which will initiate contact, through the government, with interested international parties, especially in France which is particularly interested in such matters," he added. Mohammed Khalla, deputy minister for tourism and antiquities, said the find could open up channels of diplomatic communication for Hamas, which has been isolated since it took over the Gaza Strip in 2007. "The statue might be loaned out to a well-known French or British museum, which could lead to contacts between Gaza's government and other governments overseas," he told AFP. Since Hamas forcibly took over the Gaza Strip, ousting forces loyal to the Western-backed Palestinian Authority, it has been almost completely boycotted by the international community, including by France. At the moment, as the investigation proceeds, the statue is being held at the interior ministry, Zaza said. "We are looking into all aspects of where it came from, that's to say whether it was discovered in the sea or brought here from somewhere else," he said, acknowledging the possibility it could have been smuggled in. "We want to know the truth before getting in touch with the relevant (archaeological) authorities here and overseas," he said. 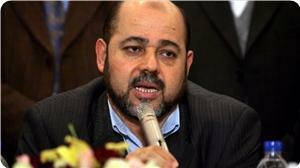 Fatah on Wednesday accused Hamas of evading reconciliation under "feeble" pretexts and excuses. Fatah said in a statement that it is ready and willing to instantly implement what was agreed upon and signed in regards to reconciliation between the two rival Palestinian factions, but stressed that Hamas was preventing progress. 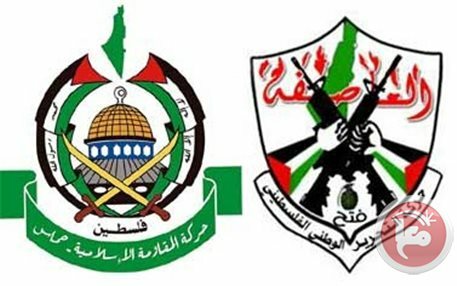 Fatah spokesman Ahmad Assaf said in the statement that after Hamas premier Ismail Haniyeh's phone call to President Abbas as well as Azzam al-Ahmad's phone call to Haniyeh to "accelerate the implementation of reconciliation, … we again feel that Hamas is trying to re-open files which were previously agreed upon." "They talk about having new talks and setting new terms," he added. 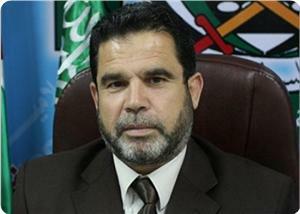 Assaf said that Haniyeh requested more time because Hamas leadership wanted more time for discussion. Assaf accused Hamas of setting new terms and condition that were "more obstacles and obstructions," and that "Hamas aims to gain more time" in order to "guarantee its sole control on the Gaza Strip in any future reconciliation process." Assaf added that al-Ahmad called on Haniyeh not to put any obstacles in the face of the Fatah delegation that visited Gaza. The statements come amid ongoing unity talks between the two factions, only days after a Fatah delegation visited Gaza and met with top Hamas officials. Palestinian government in Gaza Strip praised Hamas and Fatah Movements' efforts to implement the reconciliation agreement, stressing its full readiness to support these efforts. During its weekly meeting held on Tuesday, the government stressed the need to provide the appropriate atmosphere to achieve reconciliation, especially through stopping political arrests and summonses and protecting the fundamental freedoms. The government declared its support, in this regard, for the students’ Islamic bloc sit-in that was initiated 33 days ago in the West Bank against political detention. On the other hand, the government denounced the Israeli frequent airstrikes on Gaza Strip, targeting civilian areas and resistance sites, calling on international community and the Egyptian mediator to intervene to stop this escalating “terrorism”. It also condemned the Israeli government's decision to approve the construction of 550 new housing units in East Jerusalem, calling on the international community to put an end to the Israeli violations against Palestinian people and lands. The government condemned the Israeli continued break-ins into al-Aqsa Mosque, stressing the need for an Arab and Islamic firm position to protect Jerusalem and al-Aqsa Mosque. It finally praised the recent agreement to neutralize Yarmouk refugee camp in Damascus, calling on all parties to abide by its terms till the complete lifting of the siege imposed on the camp for more than 213 days. More than 106 Palestinian refugees were starved to death as a result of that siege. 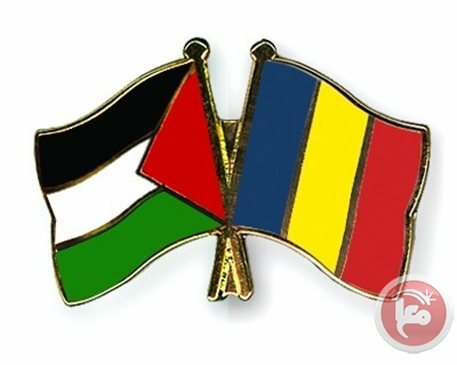 Six Palestinian ministers and several ministry officials led by the minister of foreign affairs left Tuesday for Romania where they will discuss cooperation between Romania and Palestine. A Foreign Ministry statement highlighted that the delegation would hold a second session for a joint Romanian-Palestinian committee. Several agreements are expected to be signed including an agreement on political consultations at the level of foreign ministries. Agreements on economic cooperation and commercial exchange between chambers of commerce will also be signed. Palestinians who have diplomatic passports will be able to travel to Romania without an entry visa, according to the statement. An agreement in that regard will be signed in Romania. The Palestinian delegation will also meet Wednesday with the speakers of the Romania parliament, speaker of the Senates, the prime minister and Orthodox patriarch. 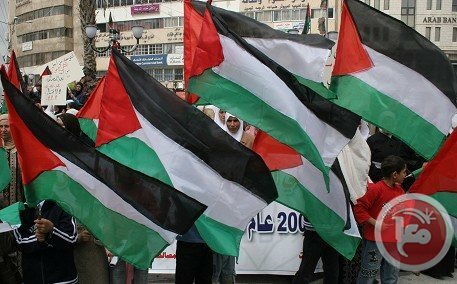 Palestinian Legislative Council (PLC) hailed the recommendations issued by South African Parliament in support of Palestinian people, calling for an international Parliamentary lobby to isolate the Israeli entity. Dr. Ahmed Bahar, the PLC First Deputy Speaker, praised the South African Parliament's recommendations in support of Palestinian cause and national reconciliation, and in particular its resolutions to boycott Israeli settlements' products and to facilitate Palestinians' travel to South Africa. He said that these recommendations prove the Palestinian and South African good relations, and emphasize the justice of the Palestinian cause and legitimate rights. 1. South Africa has a legal obligation under the Rome Statute to set up a special court to deal with war crimes, this needs to be urgently set up. South Africa must expeditiously deal with the "Gaza Docket" and deal with South Africans serving in the Israeli Army. 2. The 2009 Human Sciences Research Council (HSRC) report that found Israel guilty of Apartheid should be adopted by South Africa's Parliament and by the South African government. The HSRC report must also be referred to international bodies including the International Parliamentary Union, the International Criminal Court, the United Nations and the African Union. 10. All South African political parties must clearly communicate their stance on the plight of the Palestinian people and make it timorously known in the build-up to 2014 elections. 11. Witness and solidarity visits to Palestine should be encouraged, for example, through the World Council of Churches EAPPI program. Dozens of students affiliated with Hamas on Tuesday held a demonstration outside of the premises where a visiting Fatah delegation is staying in Gaza City. The protesters denounced "detention campaigns" by Palestinian Authority security forces against Hamas-affiliated students at Birzeit University. Student union chief Hani Muqbil urged the Fatah delegation to stop arrest campaigns based on political affiliation. 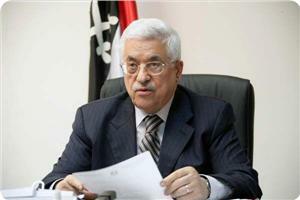 The demonstrators will deliver a letter to the Fatah delegation including all their demands, Muqbil said. A Fatah Central Committee delegation arrived in Gaza on Friday as part of a visit to review the situation of the movement in the coastal enclave. Senior leader in Hamas Movement Salah Bardawil confirmed that Fatah Central Committee delegation has received Hamas's position towards reconciliation agreement, saying that his movement is waiting for Fatah's serious steps in this matter. Hamas has informed Fatah delegation of its readiness to continue reconciliation meetings, Bardawil told Quds Press on Monday. 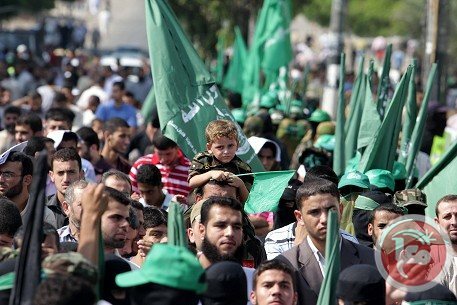 Hamas Movement has said, during its meeting with Fatah Central Committee delegation visiting Gaza Strip, that national reconciliation cannot be implemented in light of the continued political arrests against university students in the West Bank for being affiliated with Hamas, Bardawil added. In its turn, Fatah delegation stressed its willingness to achieve reconciliation based on full partnership, demanding a supportive position to Abbas so as not to waive Palestinian rights. Bardawil called on Fatah to benefit from the Tunisian experience that managed to overcome political differences in order to achieve national peace and harmony. 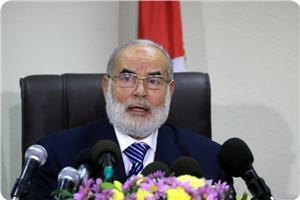 He hailed the Tunisian experience, calling on Fatah Movement to take a lesson from it to achieve reconciliation. For his part, Fatah Central Committee member Nabil Sha’at stressed that the national atmosphere is ready to achieve reconciliation, saying that there is no choice but implementing national reconciliation, expressed optimism of a near end to the internal division. He added that Azzam Al-Ahmad, a member of Fatah's Central Committee, is expected to visit Gaza soon to discuss practical steps toward reconciliation. On the other hand, Sha’at strongly criticized the ousted Fatah member Mohammed Dahlan, saying he no longer belongs to Fatah and does not represent it. The Israeli occupation authority (IOA) prevented president of the European parliament Martin Schulz from visiting Al-Ittarat (tires) school in Khan Al-Ahmar district near the road between Jerusalem and Jericho cities. An informed source told the Palestinian information center (PIC) that Schulz was scheduled on Monday afternoon to visit the school along with Rami Hamdallah, head of the de facto government in Ramallah. The source added that the visit was cancelled suddenly after the Israeli side told the Palestinian Authority about its objection to it. Hamdallah, however, told a news conference yesterday in the presence of Schulz that the visit was cancelled because of the emergence of some problems without stating the main reason. He did not say that the visit was cancelled because Israel did not want the Europeans to witness some side of its violations against the Palestinians living in Khan Al-Ahmar area. 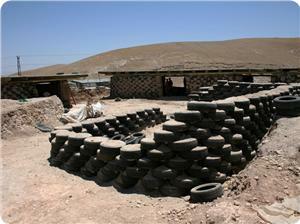 Hamdallah did not say that the school which the president of the European parliament was supposed to visit was made of car tires because Israel prevents the Palestinian Bedouins living there from having access to building materials and keeps threatening to displace them and demolish their property.